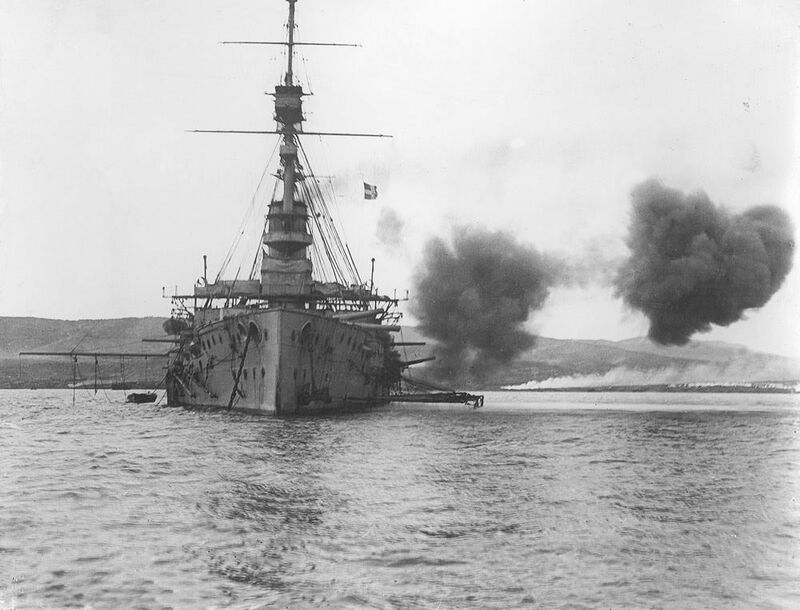 Pre-Dreadnought battleship HMS Cornwallis (launched 1901) at the bombardment of Gallipoli. Pictured during the initial landings on 25th April 1915 at 'S' beach near Eski Hissarlik at the south east end of the peninsula. This HMS Cornwallis at the Bombardment of Gallipoli Art Print is created using state of the art, industry leading Digital printers. The result - a stunning reproduction at an affordable price.